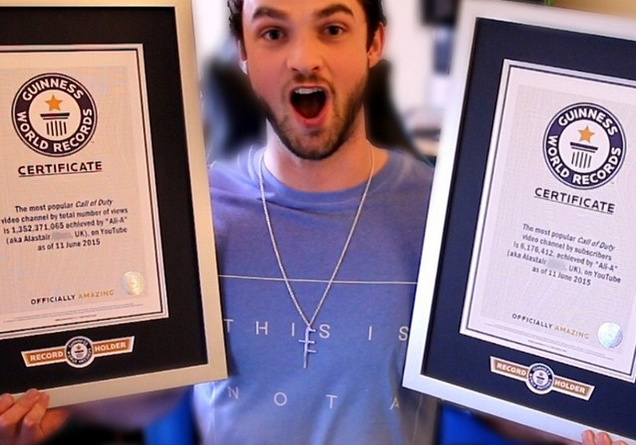 Ali-A (Alistair Aiken) receives official Guinness World Records certificates for “Most popular Call of Duty Channel by views” and “Most popular Call of Duty Channel by subscribers“. On 11 June 2015 Ali-A had over 6,176,412 subscribers and 1,352,371,065 views to his channel. This 21-year old full time YouTuber is very famous in the USA, uploading videos between 10pm and 5am to keep his fans happy. 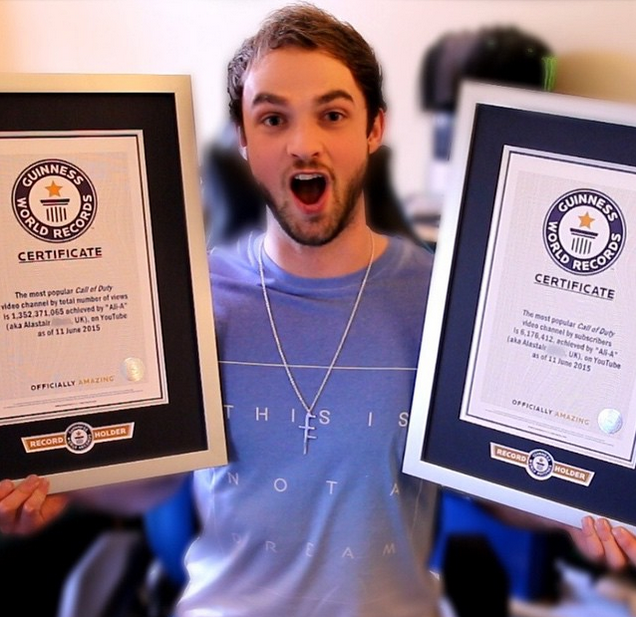 Ali-A becomes a part of Guinness World Records Gamer’s Edition. Here is a short video by Guinness World Records. Share it if you’re a gamer.